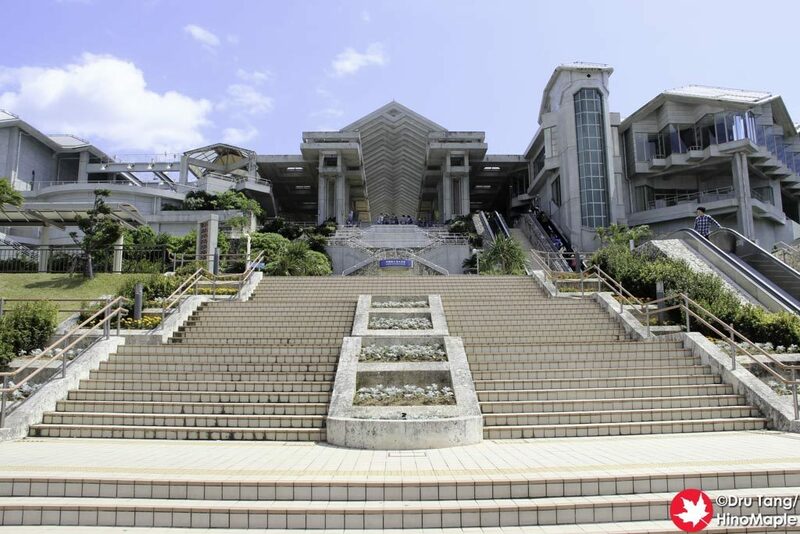 The Okinawa Churaumi Aquarium is probably the most famous aquarium within Japan. 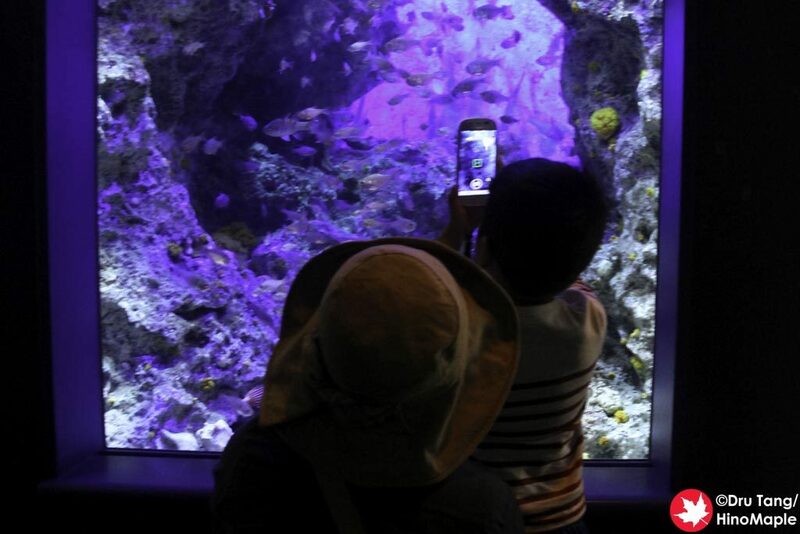 Located just over an hour north of Naha it is not that difficult to access, especially if you have a car, but with its popularity comes a steady flow of visitors that makes the aquarium difficult to enjoy. 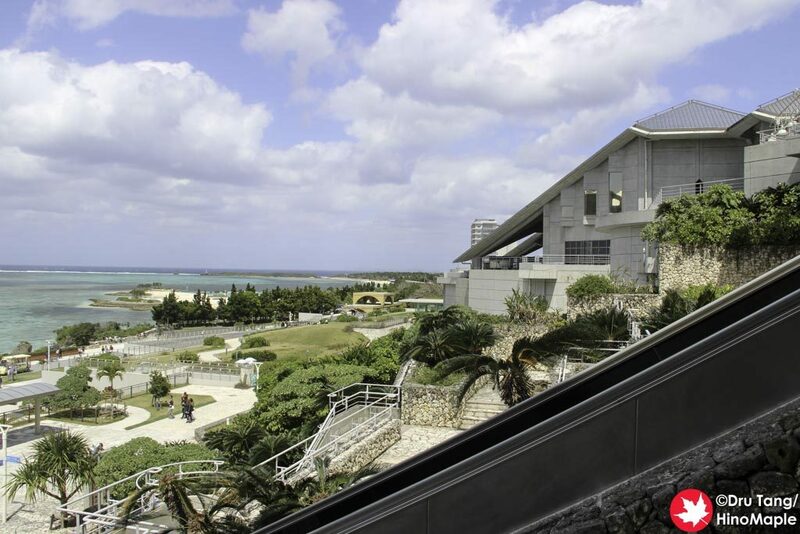 The Okinawa Churaumi Aquarium is part of the Ocean Expo Park. 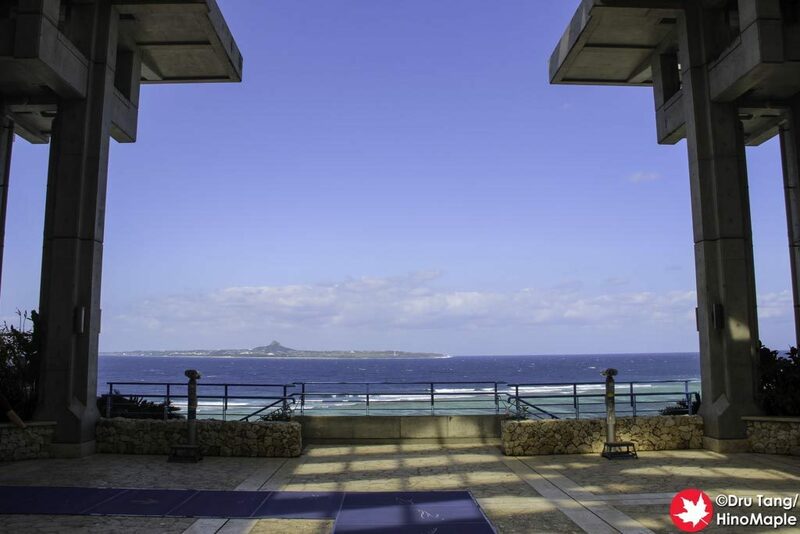 The Ocean Expo Park was actually the original site of the 1975 World Exposition and it left a wonderful park with the Churaumi Aquarium being the drawing point. The current aquarium was built in 2002 and I actually remember watching a Discovery Channel documentary on building the centrepiece of this aquarium around the time they opened. 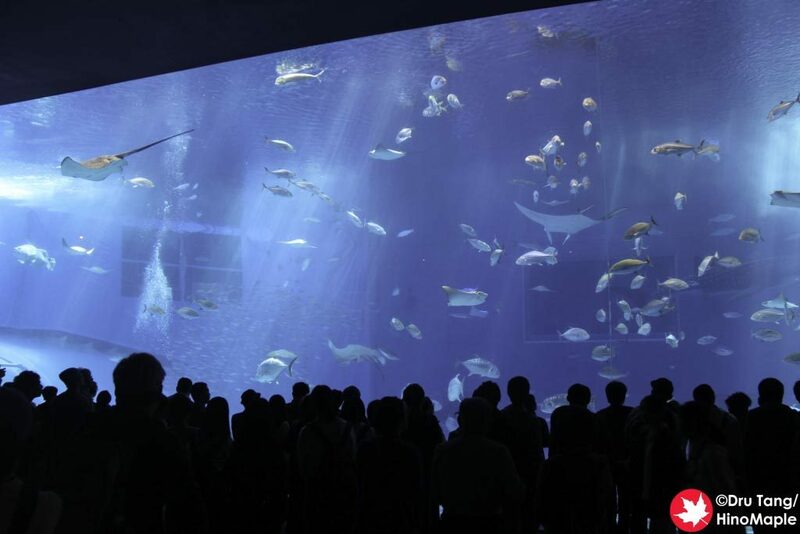 I remember watching them build the largest aquarium tank in the world, at that time, as well as all of the difficulties they had. The main architect is Yukifusa Kokuba but unfortunately I couldn’t get a lot of information about him. 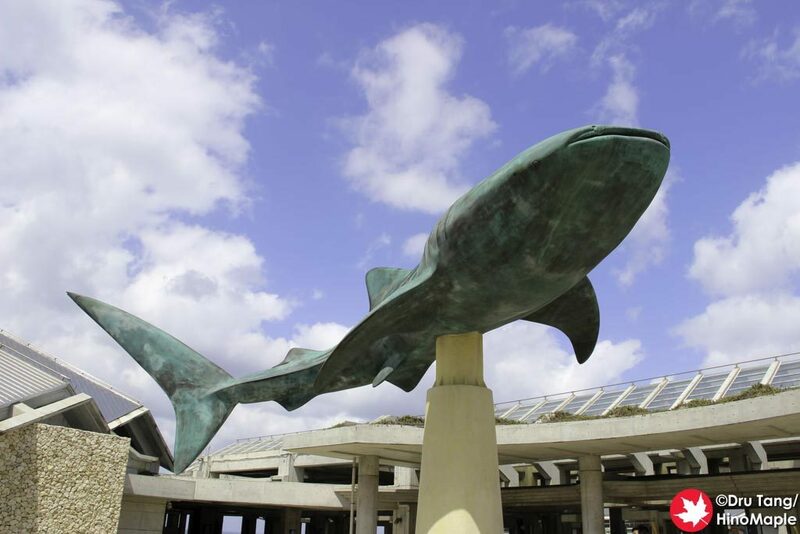 If you are entering the aquarium from the parking lots, you are likely to be entering it from the high side. 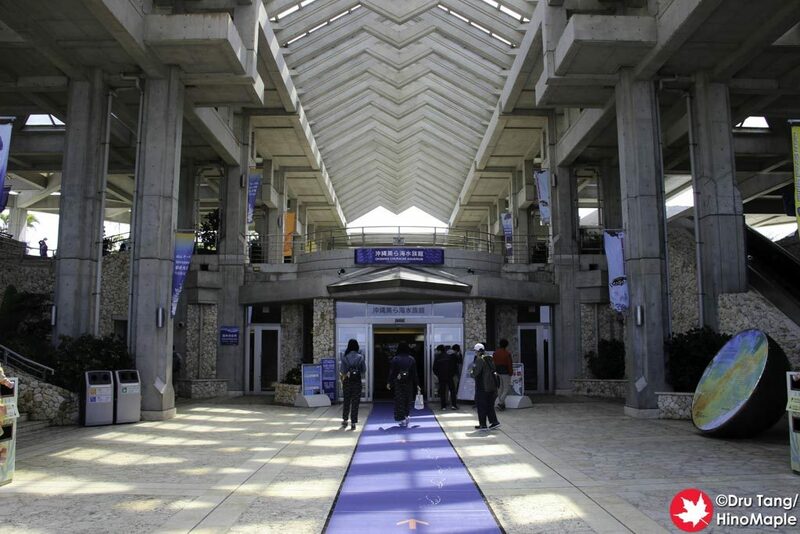 The aquarium was built along a hill with the high side entrance looking very inauspicious. 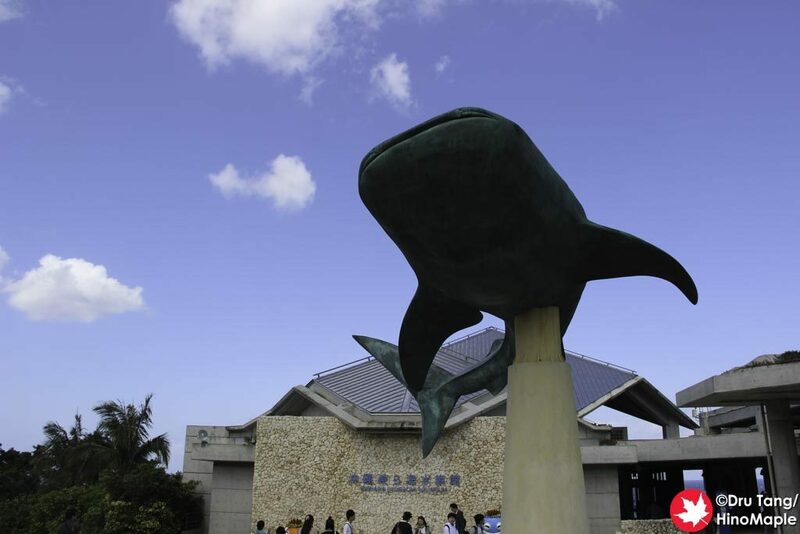 The entrance has a nice statue of a whale shark and a nice looking facade but you really have to go ocean-side to see the aquarium in all of its beauty. If you can walk around to the coast and look at the aquarium you will see how beautiful the work of Yukifusa Kokuba really is. The aquarium is mostly concrete but it is beautiful. When I came out from the bottom floor I was amazed at the structure that I was in and shocked at how different the two sides look. The various beams that formed the roof reminded me of a cross between Tadao Ando and Kenzo Tange with a little of Arthur Erickson’s early work as an accent. Churaumi Aquarium was unique in many ways yet it reminded me of a style that has followed me since my university days. When I visited the aquarium, I had a free ticket to enter with my tour so I was able to use my ticket to bypass the line of people trying to enter. The first section you will see is the “touch pool”. 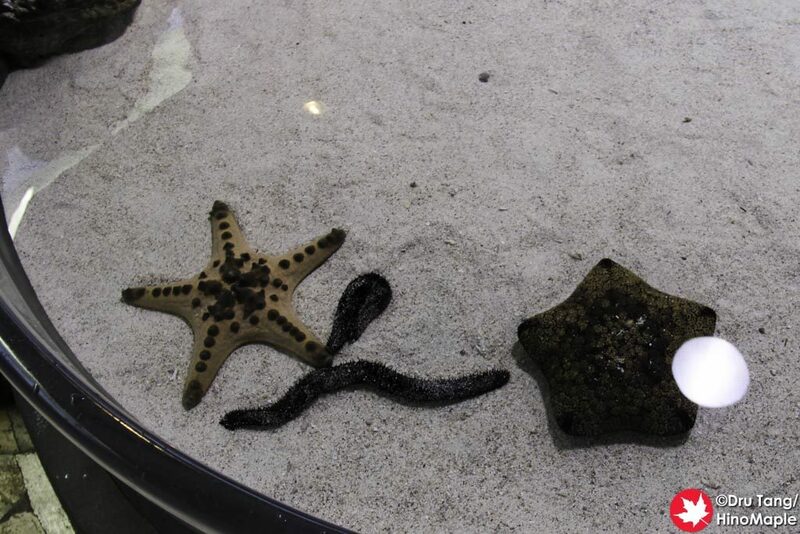 It is a small pool where you can touch starfish and sea cucumbers and realize that soft looking objects aren’t always soft and hard looking objects aren’t always hard. I was a bit surprised but I didn’t have time to just enjoy the touch pool for a long time. The next section is the coral and tropical fish section. I actually couldn’t enjoy this as much as I wanted as the aquarium was extremely busy. I had to deal with people pushing their way to the front of the tanks as well as the families where their children just wanted to stare for hours at certain fish. Needless to say I moved quickly through this area. 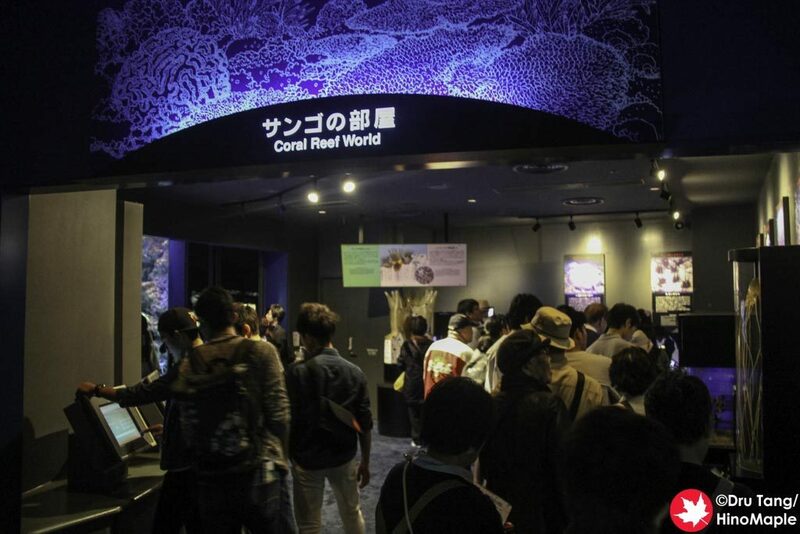 The third section is a small connecting hall full of coral and freshwater life. It was probably the worst area for me as I couldn’t see anything. This area is the biggest bottleneck for the aquarium as they had dozens of small tanks showcasing the different types of sea creatures. I can imagine that they are wonderful exhibits but with the crowds I was not impressed. Before I knew it I was at the main attraction, the Kuroshio Sea. This main tank is 35 m by 27 m and 10 m deep. At first you are above a cafe looking into the tank through slots of glass. It isn’t the best view of the tank but it is still a nice mysterious look. 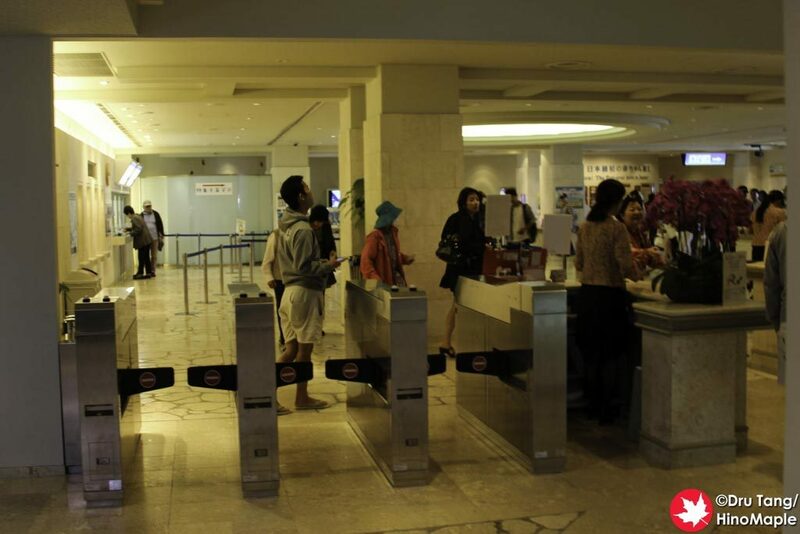 The cafe is located on the first floor with both reserved and unreserved seats. You can easily get a snack and just enjoy looking at the animals in the Kuroshio Sea, but I didn’t bother. 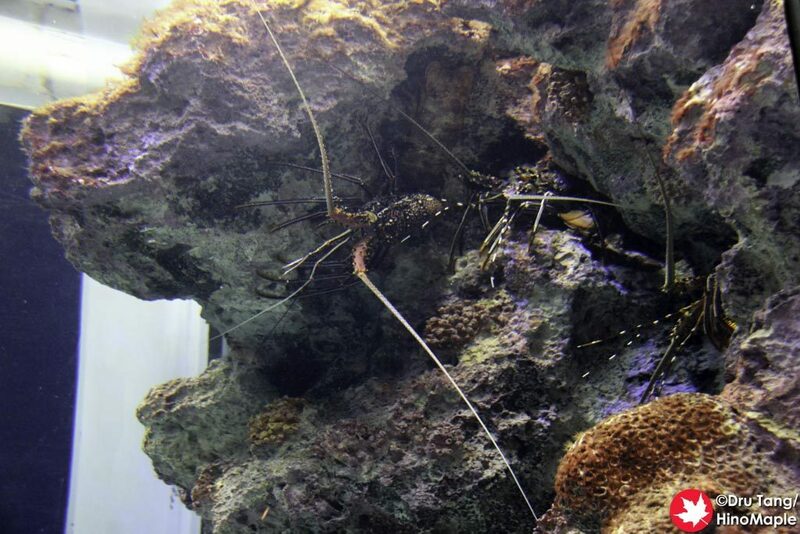 Once you pass the side of the tank you are at the main attraction. 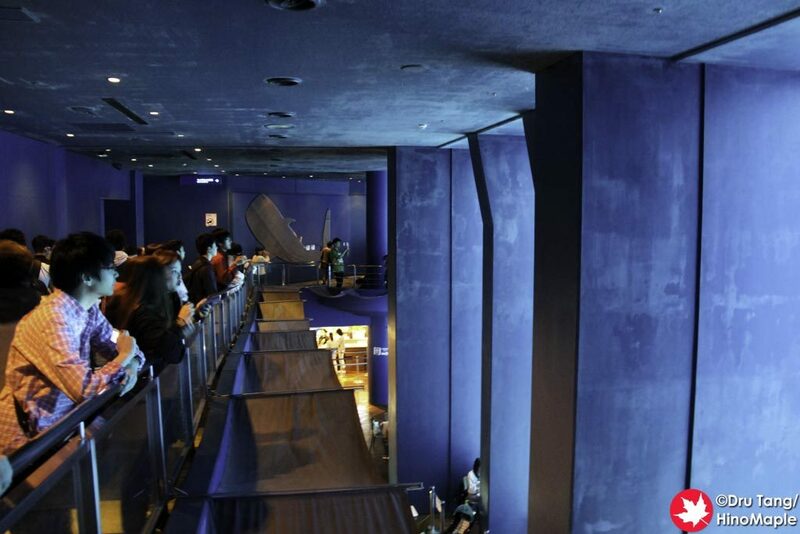 There are theatre style seats on the second floor where you can get great views of the main window into the tank. The main window is 8.2 m by 22.5 m and it is pretty spectacular. You can see the artificial light filtering into the tank and the lights inside the main room are pretty dim. I spent a couple minutes just relaxing and enjoying the view but the Shark Research Lab was beckoning. The Shark Research Lab was my favourite part of the aquarium. 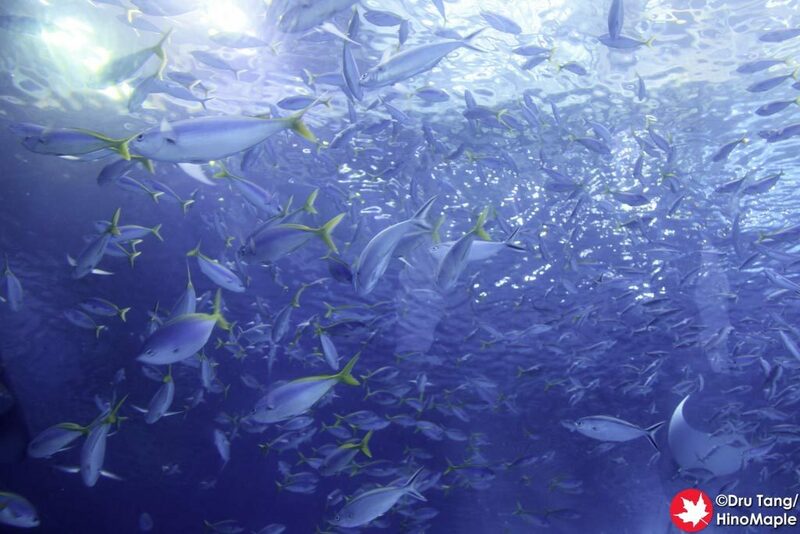 While the Kuroshio Sea was amazing, it was a bit busy and I couldn’t play with things the way I would have liked. The Shark Research Lab was not too busy so I could experience all of the exhibits without any stress. 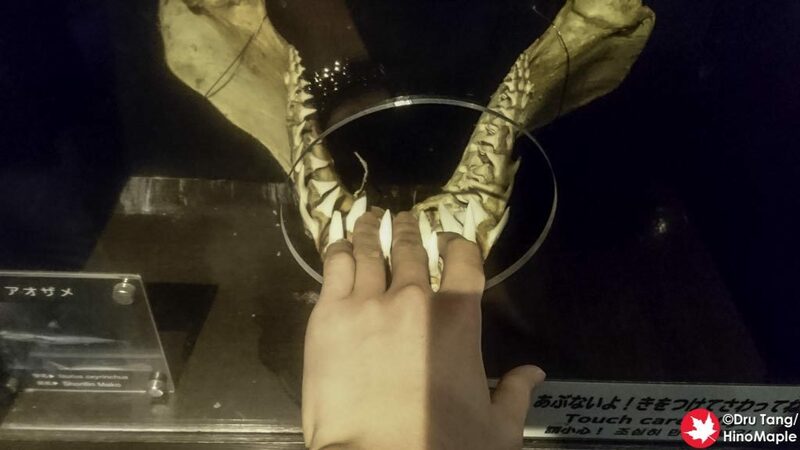 There is a huge shark jaw that you can take photos in, and a lot of people did that. 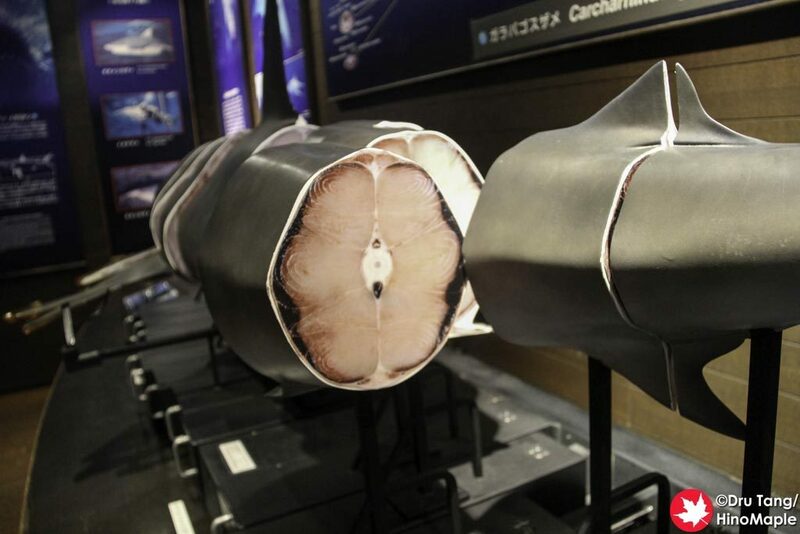 I was more interested in the shark skin samples. 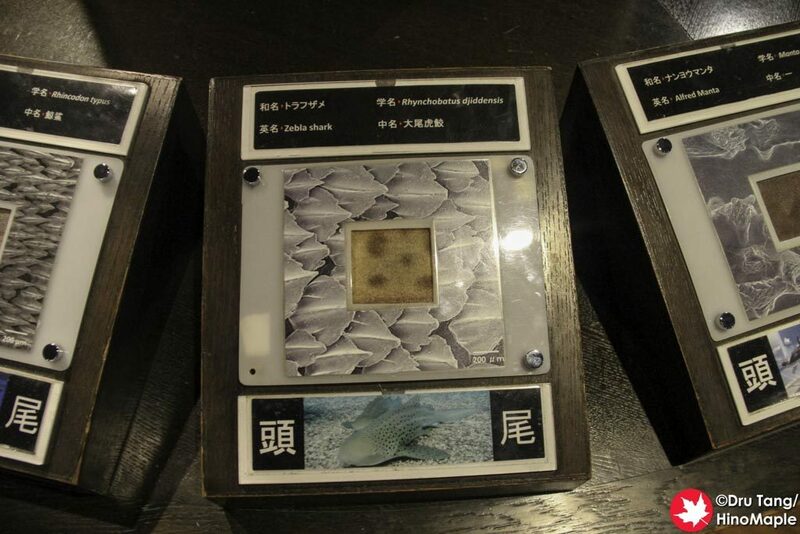 They have small squares of exposed shark skin where you can feel how smooth or rough their skin is. 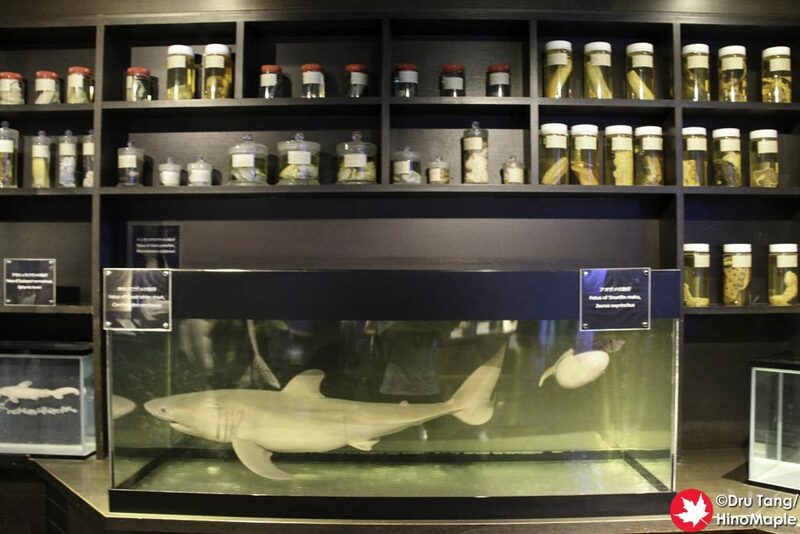 You can also see specimens of dead baby sharks, a moving model of a shark, as well as real shark teeth and jaws. 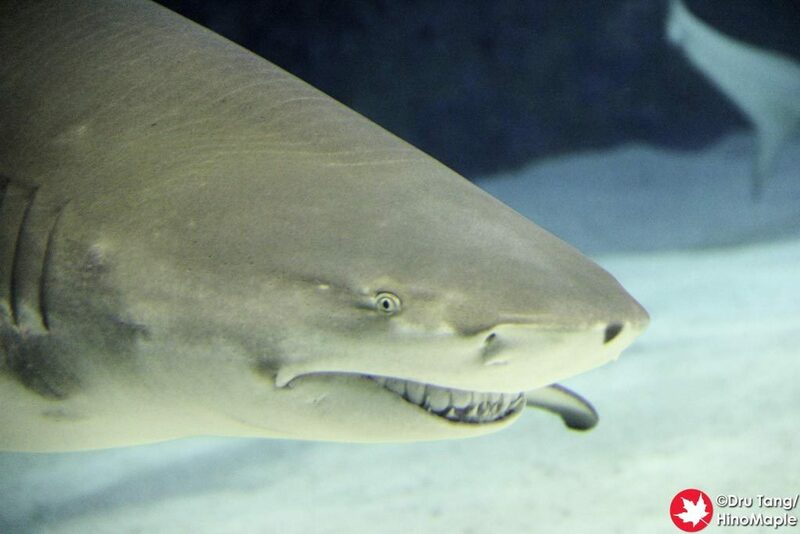 The shark jaws with teeth were my favourite part as I had never had a chance to feel how sharp shark teeth are. It was definitely a memorable experience for me. The Shark Research Lab also had a nice shark tank that was a lot of fun. I was amused by a couple of girls who just loved the smiles on the sharks’ faces and I was amused by the apparent smiles on the sharks too. 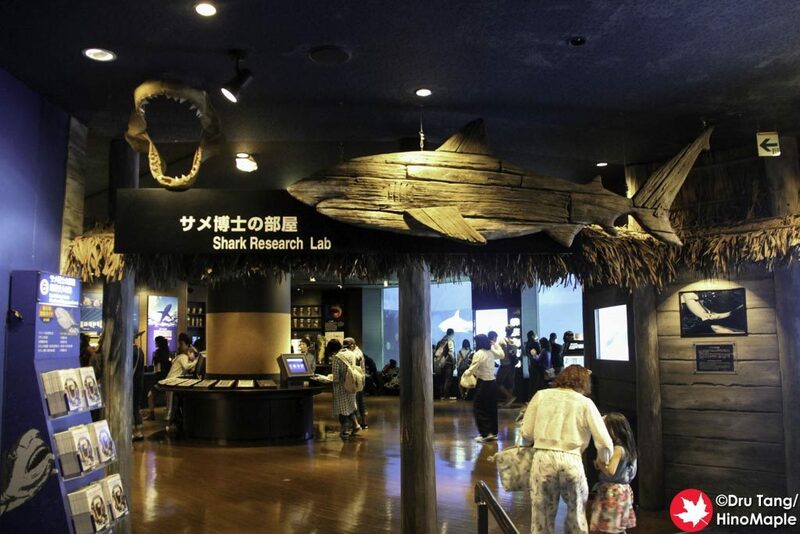 After you finish with the Shark Research Lab you head down to the first floor to enjoy the Kuroshio Sea from the bottom. Looking up 10 meters was very interesting and it really gives you a sense of how big the tank really is. From the second floor you really can’t feel how big the tank is. Once you are done with the main room, you need to follow the signs to the Aqua Room. 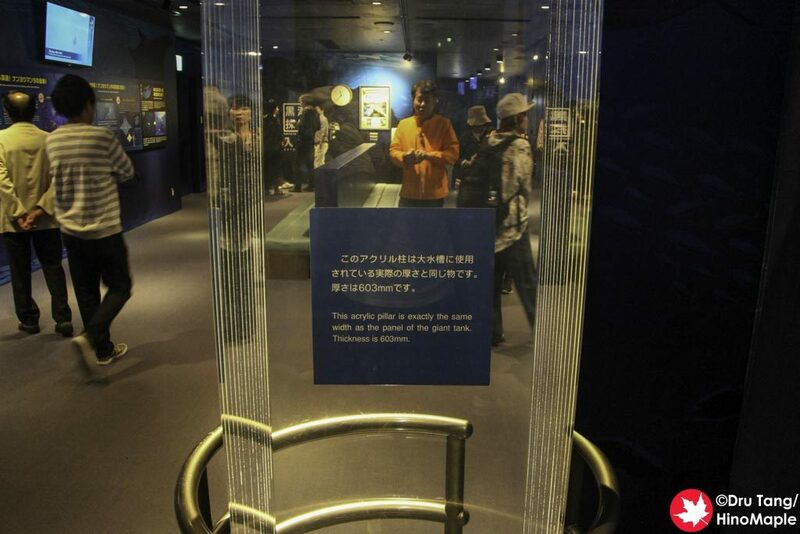 There was another side room with a few interesting exhibits but going that way will lead you to the exit rather than the final areas of the aquarium. 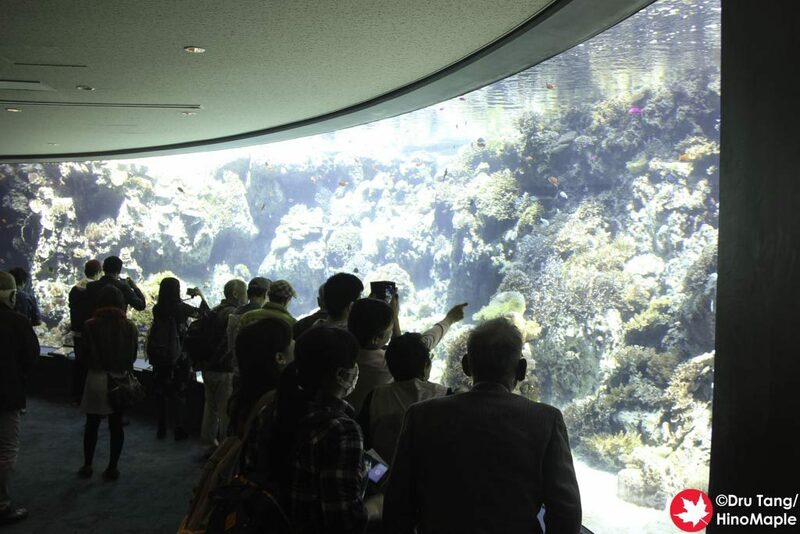 I really liked the Aqua Room as it was a window into the Kuroshio Sea with curved glass so you can look directly up into the tank from the bottom. 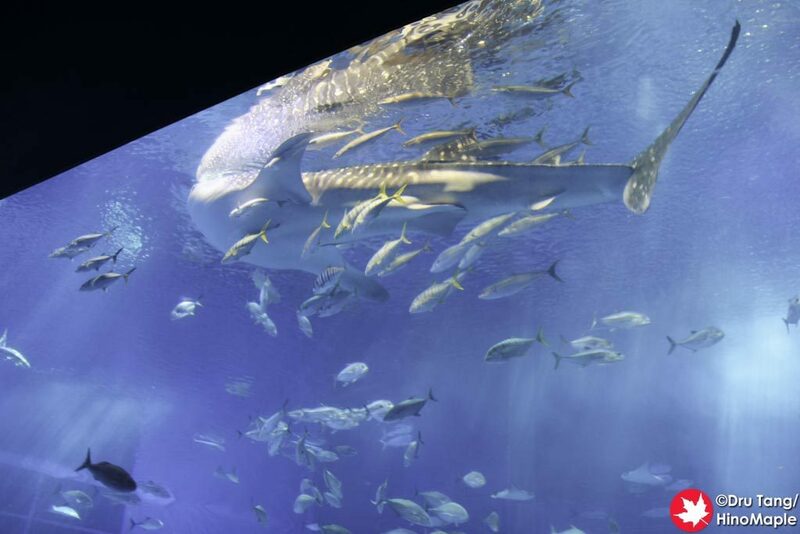 It was nice and bright compared to the main room and you could still see a lot of the animals in the tank. The last section is the Deep Sea World. 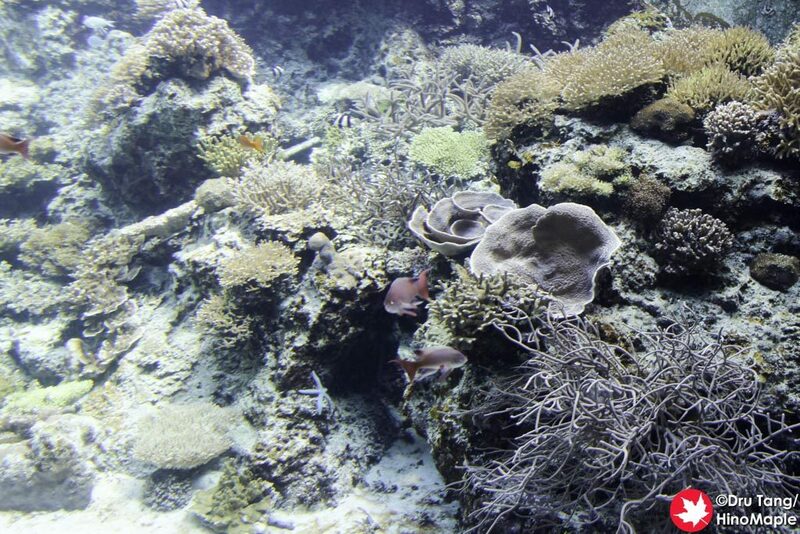 It is a dark area where you can see various creatures of the deep. I skipped a lot of this area for the same reason I skipped many of the other areas; it was too busy. 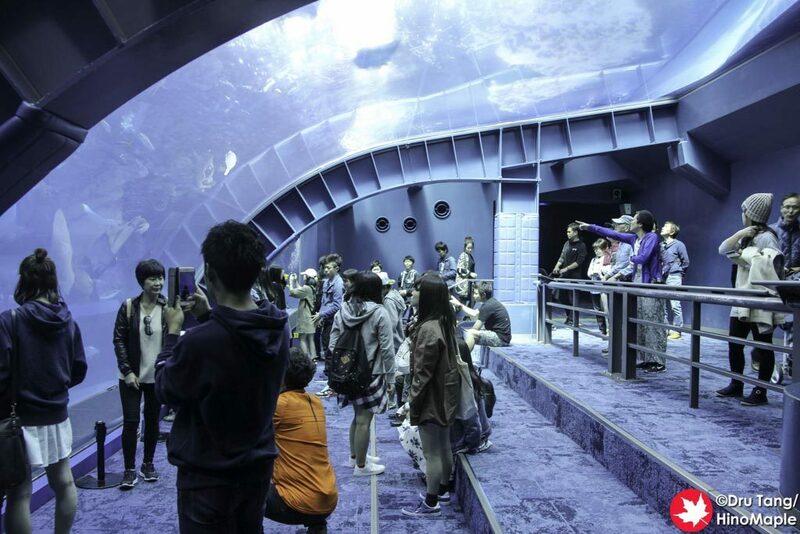 I was lucky enough to see the “Ocean Planetarium” which was just a very dark area with luminescent fish. 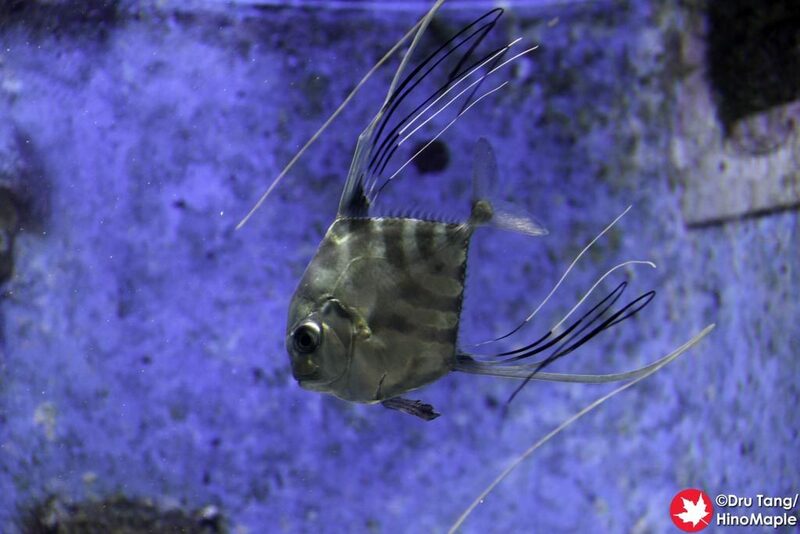 It was fun to see the various fish with natural light coming from their bodies and made me wonder if I was on drugs. 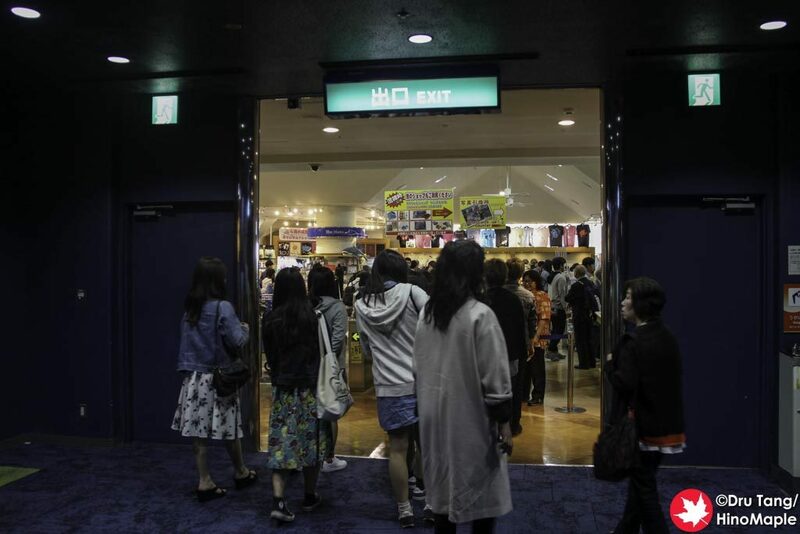 Once you do finish with the deep sea area you are at the exit. You can get a hand stamp so you can re-enter the aquarium at a later time. I skipped getting a stamp and was into the final mad house, the gift shop. I was not very interested in the gift shop but I did take a quick look around before I left for the other areas of the park. Once you finish with the gift shop you can head over to the other areas of the park that are free. 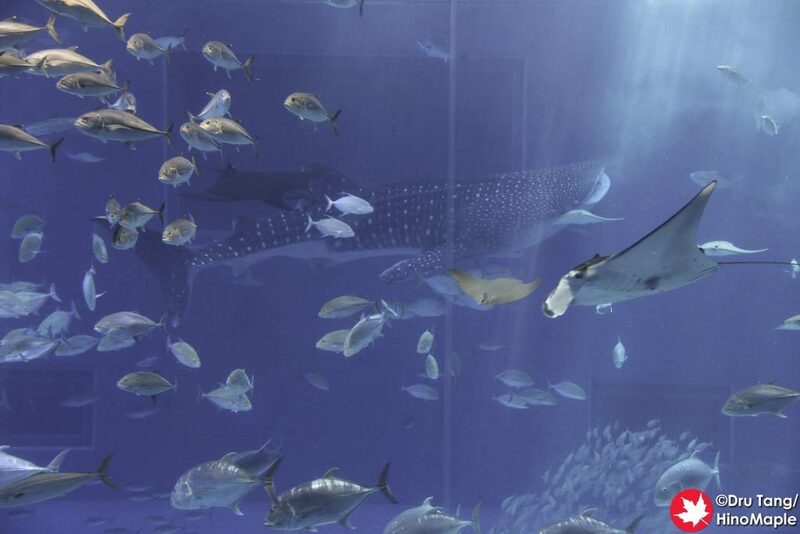 They do have things such as a dolphin show, manatee tank, and many other things to see. I will cover this in a later post but it was, in some ways, better than the Churaumi Aquarium. 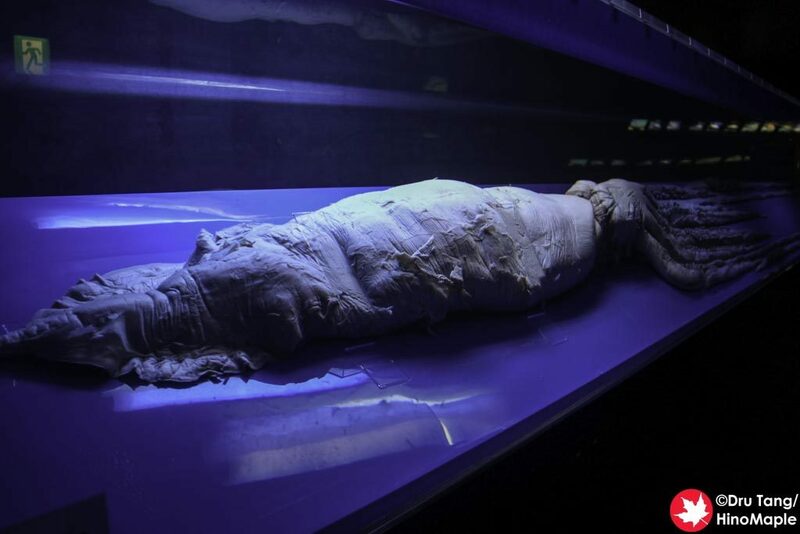 The Chuarum Aquarium is a great aquarium but it is a victim of its own success. 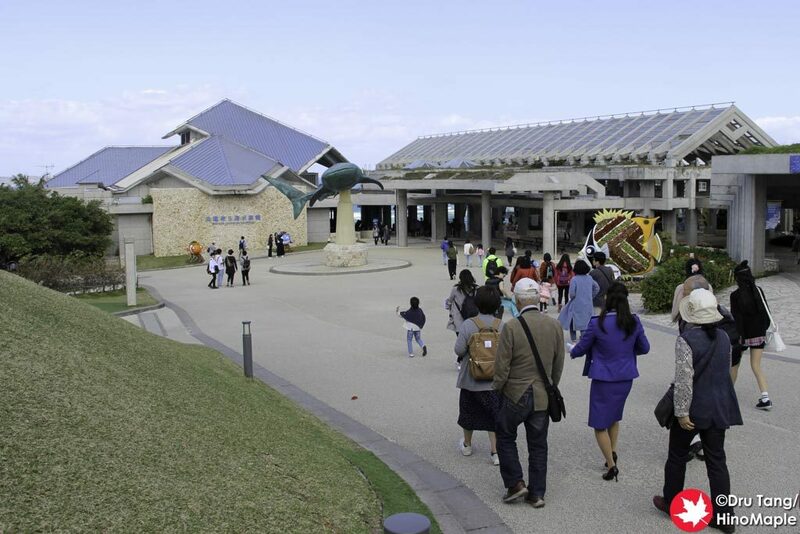 I really enjoyed the Kuroshio Sea but I couldn’t enjoy many of the other exhibits because it was too crowded. I wish I had more time so that I didn’t have to rush but I doubt I would have spent much more time to enjoy the aquarium. It can be frustrating if you don’t have patience and you don’t want to deal with crowds but I was happy that I went. 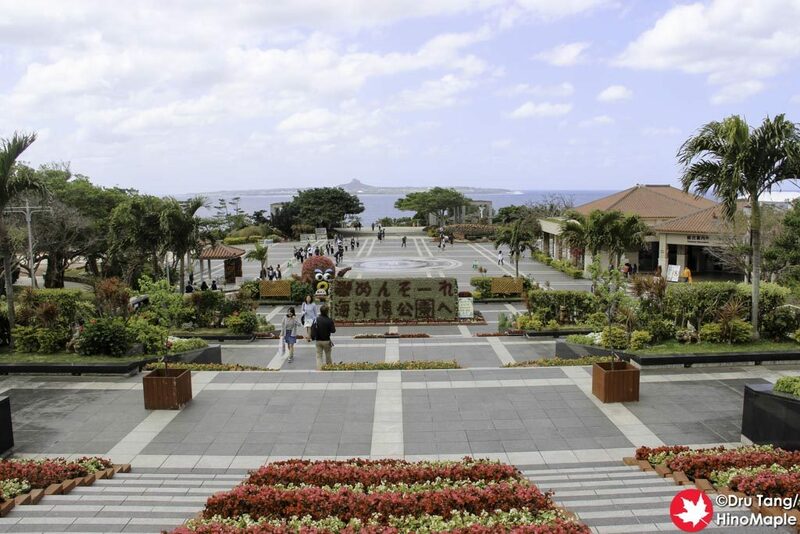 It is the place to be when visiting Okinawa and I don’t regret going. I wish I could go again in the late afternoon when the crowds are hopefully smaller. 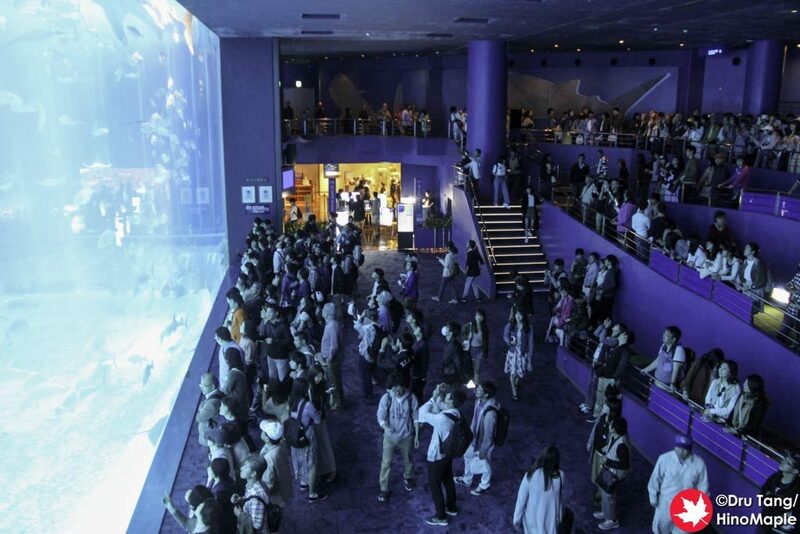 Based on Google, it is busiest from noon till around 5 p.m., so good luck if you visit this fun aquarium. 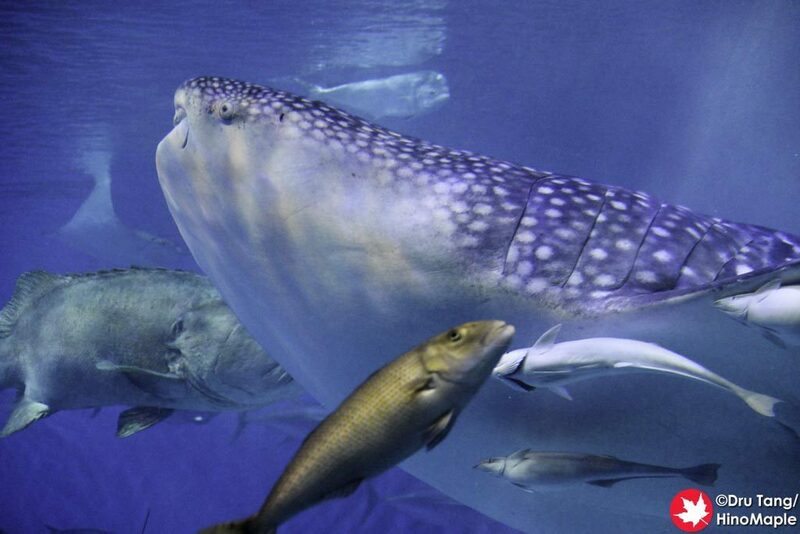 This entry was posted in Okinawa and tagged Aquarium, Churaumi Aquarium, japan, Nago, Nakijin, Ocean Expo Park, Okinawa, Okinawa Churaumi Aquarium, whale shark by Dru. Bookmark the permalink.